HiMama (www.himama.com), a company based in Toronto that helps working parents connect with their children through technology, has reached the milestone of one million moments recorded and shared. HiMama enables childcare programs to connect with parents through messaging, photos, videos and reports, allowing parents to stay connected with their children no matter where they are. Toronto, ON (MONONEWS) July 22, 2014 – HiMama’s technology that connects busy, working parents with their childcare providers is celebrating one million shared moments. Over two thirds of Canadian women with children under the age of 5 are now employed outside the home. A major implication of this maturing trend is that an increasing number of Canadian families require some form of child care during working hours. With good reason, many parents have reservations about putting their children into someone else’s care. There is often a feeling of guilt about going to work and, naturally, many parents miss their children during the day. Parents also wonder if their child is being properly cared for and if they’re having stimulating experiences throughout the day. With all of this in mind, in 2012, the Co-Founders of HiMama conducted a survey of hundreds of parents across Canada. What they found was that over 70% of Canadian parents with children in daycare felt as though they missed out on memorable moments of their child during the day. That’s when HiMama was born. The company’s Co-Founder and CEO, Ron Spreeuwenberg, went on to meet with child care owners, directors, and early childhood educators to understand how they could keep parents better informed and engaged. The result is HiMama’s technology solution that allows early years programs to record children’s activities on tablets and send parents real-time updates and childcare daily reports through email, as well as through their apps for iPhone and Android. 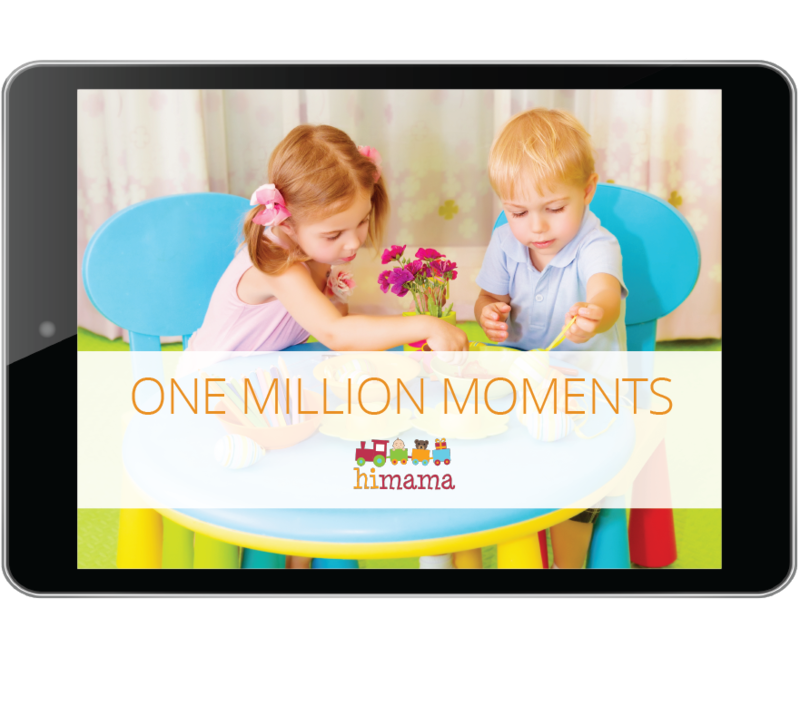 HiMama is now celebrating one million moments recorded and shared through their technology. They have documented the occasion with a 1 million moments infographic with statistics and trends about childcare in Canada, as well as information about how HiMama is being used around the world. For example, HiMama apps are currently being used in 30 countries globally and moments are now being shared at the rate of approximately one every 7 seconds. Parents and childcare programs interested in learning more should visit www.himama.com. HiMama aims to deliver smiles and protect memories. Founded in 2012, HiMama was inspired by something simple: the joy of receiving a photo that captures a moment in your child’s day, and we wanted to make sharing these moments easier.